Did he cover for a Nazi? Democrats placed in bad spot by Malinowski. When a Republican legislator attended a country music concert last year and was photographed standing in front of the band’s banner, he was excoriated by a long list of Democrats because that band banner incorporated aspects of a “rebel” flag. The Democrats promptly accused the Republican legislator of being a racist (even though he has African-American family members who quickly came to his defense) and called for his resignation and a boycott of his business (a course of action that caused the Executive Director of the local County Democratic Committee to break with her party and come to the defense of the Republican). Last week, Democrat U.S. 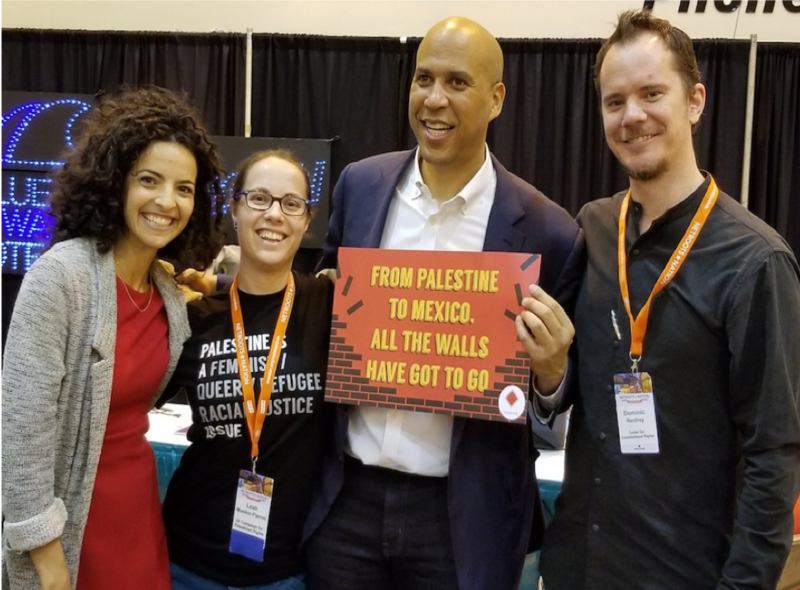 Senator Cory Booker got caught holding up an anti-Israel sign and calling for the destruction of the border security wall that has done so much to reduce the number of terrorist murders of innocent women and children by Islamic extremists. It was a grossly irresponsible act by the increasingly light-weight, childish Senator. “…Through all this, Malinowski, who had no problem praising Garlasco before the controversy, remained silent. Garlasco was suspended without pay pending an investigation, if It was ever conducted, has not been discussed publicly. “It is consistent with his leadership in developing and defending the discredited Goldstone Report as well as vigorous efforts to get the world to condemn Israel based on that review. Indeed, it is consistent with Malinowski’s accepting the endorsement of a group that honored Linda Sarsour (an admirer of Louis Farrakhan). Rasmussen poll: Voters Don’t Like ‘Antifa’ Protesters. Tom Moran is trying to fool you. He’s a partisan warrior.